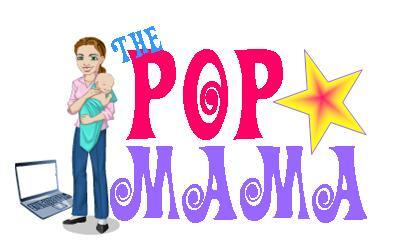 Pop Mama: Bossy and Unashamed. I feel a little out of the loop. Life has been moving fast and I have been struggling to keep up. 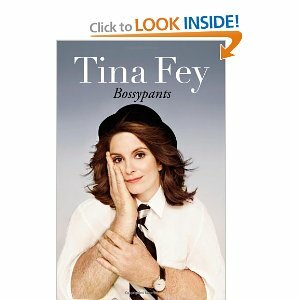 This past weekend, instead of doing housework while Cameron was napping, I cuddled up with Tina Fey's book Bossypants. The weather in my neck of the woods has been dreary and I just didn't have the energy to do all of the mundane tasks like laundry, bottle washing and vacuuming. The dirt would have to wait as I ate jelly doughnuts and laughed out loud at Tina's witty, spot-on writing. I endorse this book. Bossypants is hilarious, full of relatable (at least for me) personal anecdotes and observations, and gives the reader a window into Tina Fey's true life. While I was reading the book I didn't really think of her as the actress from Baby Mama (one of my all-time favorite movies to watch when pregnant or with little ones) and I didn't really think of her as the actress who made us rub our eyes thinking we were seeing Sarah Palin on SNL. Her depiction of her life, her work and her family makes her seem so approachable. Like she and I could have met in college theater and had many nights filled with gossiping, eating ice cream (and nachos) and trying to wittily out-do the other -- while remaining the best of friends, of course. Her chapter on breastfeeding alone would have any mother in hysterics. I can relate to her choice of TV (Entourage) while pumping and the comedic juxtaposition of a brand new innocent baby sleeping soundly in his/her room while a half naked woman sits on the couch with a high powered machine hooked up to her chest watching a raunchy bromance HBO series full of expletives and sexual references. Not what you imagine while in the glow of pregnancy, but it can quickly become the reality. Love it. That is what Tina is saying through out the book. People may not have wanted to hear from her or may not have liked her brand of comedy from the get-go, but she didn't care. She kept going and look where she is today. I recommend this book. It is a quick read and anyone, with or without children, would find the humor in it. Tina Fey is my hero. She makes me wonder if I should have gone into writing (comedic writing) rather than law. Who knows what the future will hold (and hopefully my boss isn't reading this...I'm not leaving my job, I promise). Read Bossypants. You won't regret it.